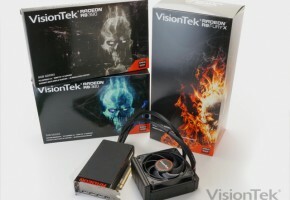 (Update) Is this Radeon R9 390X? Update: New picture from Chiphell. Please be advised, it does look photoshopped: the Radeon logo is misplaced, and PCI-E slot is quite possibly copied from Hawaii card. Yet, it’s one of the best mockups out there, so probably the best way to visualize how this card looks. 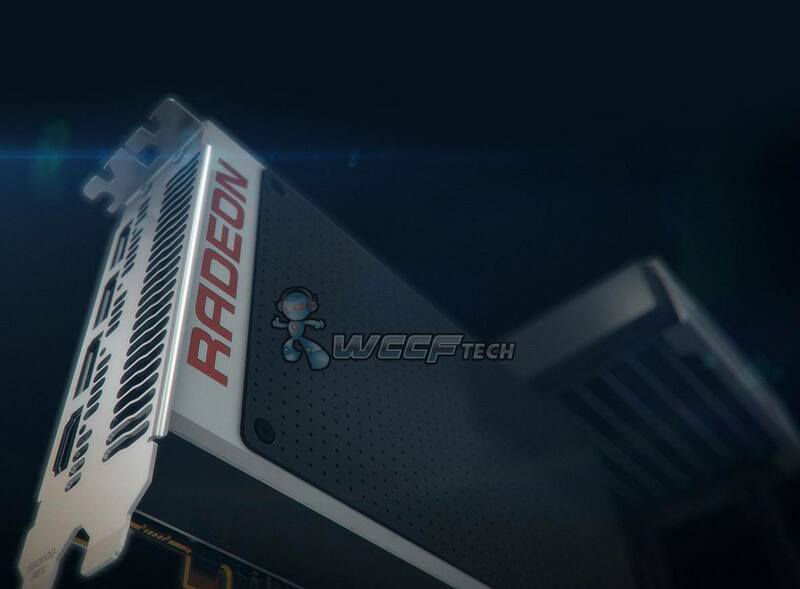 What you’re looking at is quite possibly the first picture of watercooled Radeon R9 390 graphics card, posted exclusively by WCCFTech. 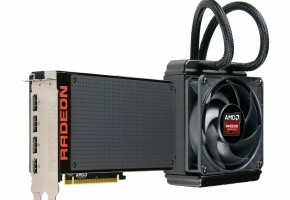 This tiny little card is quite possibly the next flagship GPU from AMD. 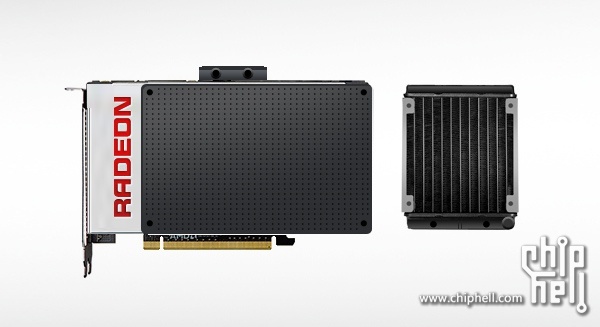 Equipped with AIO water-cooling solution, compact sized graphics card is powered by Fiji silicon. If you’re wondering why is this card so small, it’s because HBM memory sits on interposer, so the PCB is much smaller. 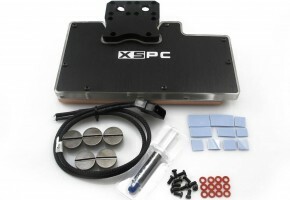 Just imagine Mini-ITX models of this card coming in few months. 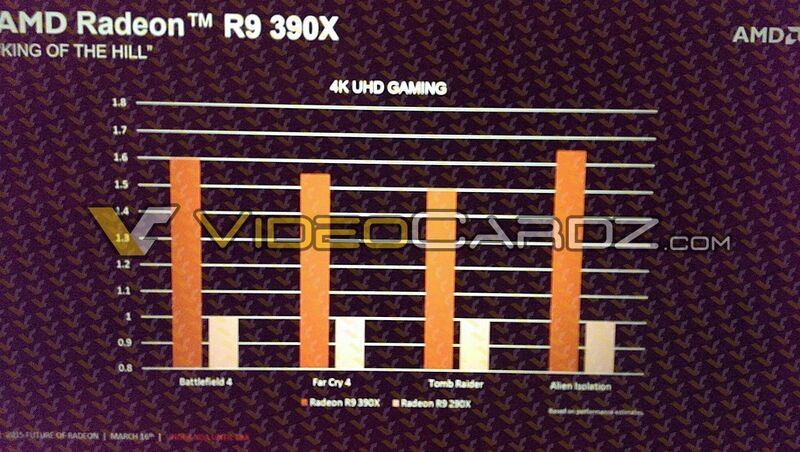 Radeon R9 390X has 4 display outputs, three DisplayPorts and one HDMI. There is no DVI port. Card is dual-slot and apparently has no visible fan (so why the ventilation?). 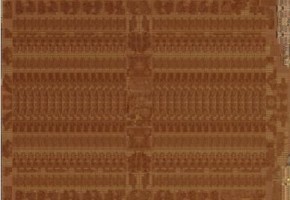 WCCFTech posted another teaser, this time showing (allegedly) Fiji silicon. 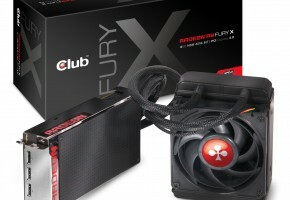 In case you forgot, we posted R9 390X specifications few weeks ago. 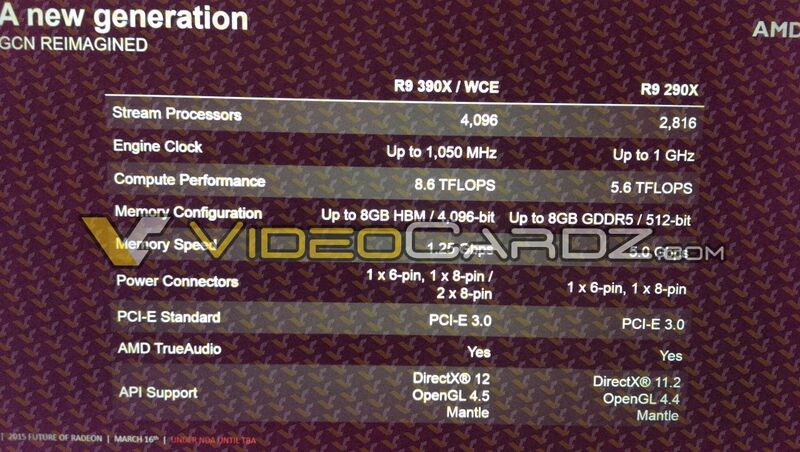 This new card is supposedly equipped with 4096 Stream Cores and up to 8GB of HBM memory. 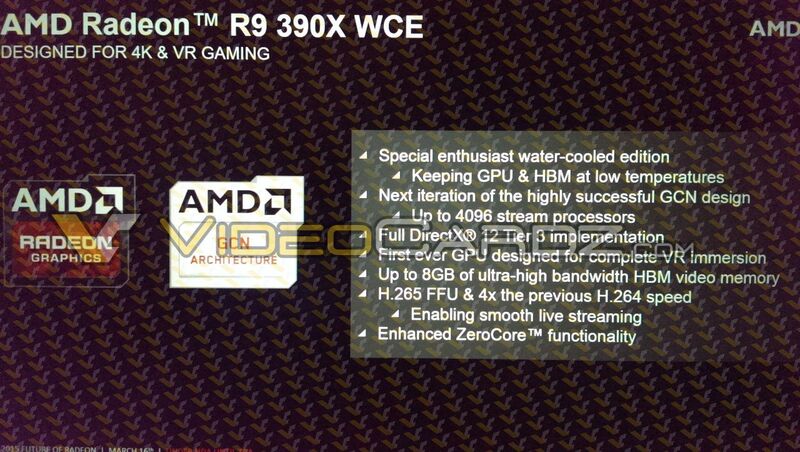 The special version of this card is called WCE (Water-Cooled-Edition), and it’s probably exactly what you see on those pictures.